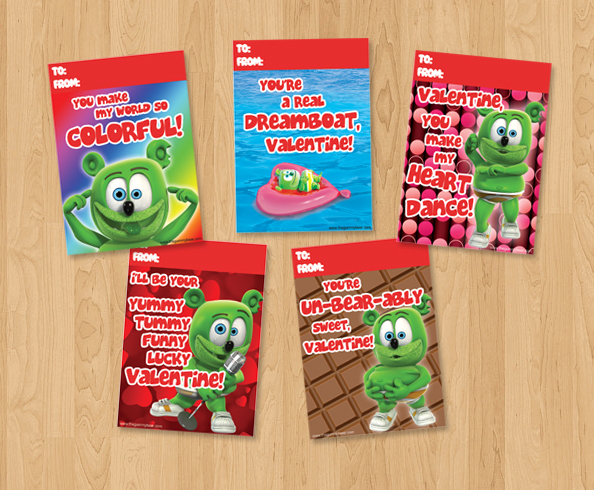 Gummibär Valentine’s Day Cards Available for Download - Gummybear International Inc. 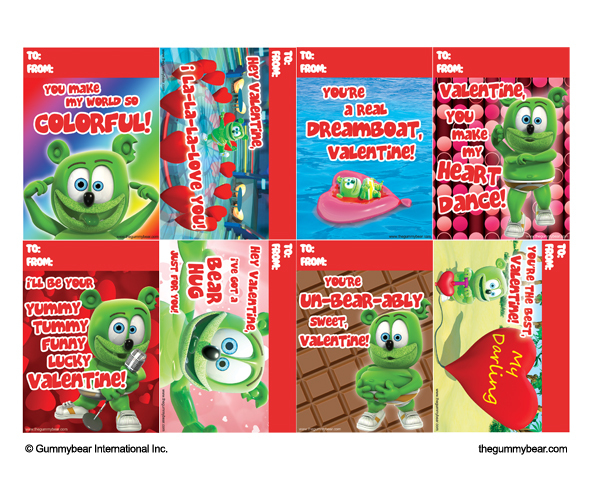 Fans of the internationally-known animated character Gummibär can now access printable Valentine’s Day cards featuring their favorite singing and dancing gummy bear. Made available by Gummybear International, these fun, colorful cards come in the form of a PDF file that can be downloaded. The printable Gummibär Valentine’s Day Cards are available exclusively here at Gummibär’s Etsy Shop and also at The Gummibär Shop here. With more than 3 million video views each day, Gummibär is the most popular animated character on YouTube. Children, teens, and adults alike are all entertained by his upbeat music and humorous videos. Since 2006, Gummybear International has been the corporate parent behind the Gummibär character, which has been featured in several viral video hits, CDs and feature-length movies.